Muraho (or hello in English). I am currently in Kigali, in the Havugimana Israel guest Centre. This is where my placement officially starts and the adventure really begins. It honestly feels like weeks since I first stepped out of that plane and into Kigali. I remember the rush of heat and the darkness of the night. I especially remember the odd mixture of excitement and fear knotting up in my stomach. I had made it, after being on a plane for the first time. The lack of sleep and comfort outweighed by the excitement of being in a completely new atmosphere. It feels like a month since that night but in reality it has only been five days. I suppose that is what its like, getting used to a new culture and easing yourself in slowly. 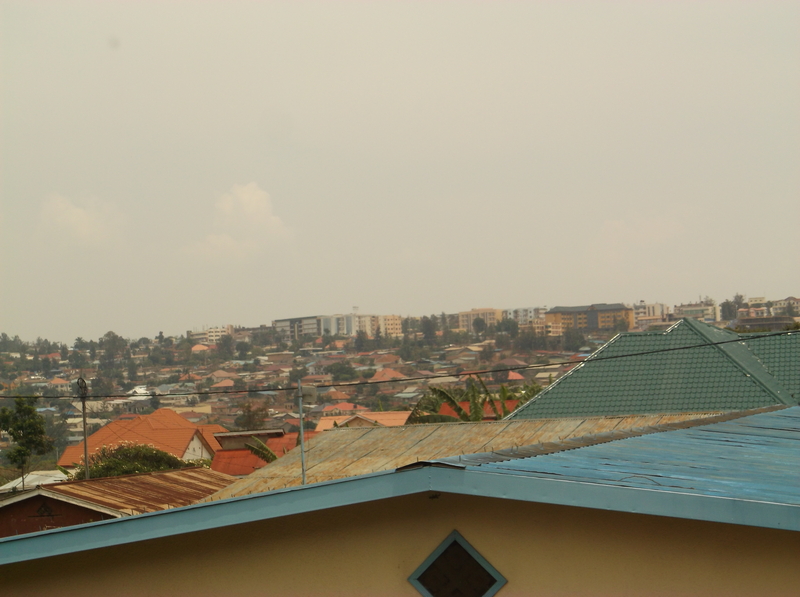 My first impression of Kigali was that it was much bigger than I expected it to be. The beauty of it hit me in the morning when I walked out of the Moucecore guest house and was struck by the most amazing view. Many buildings seemed to slant in the most organised way, the colours were all so rich and the sun already hot in the azure sky. I felt so blessed to be in such a beautiful place. 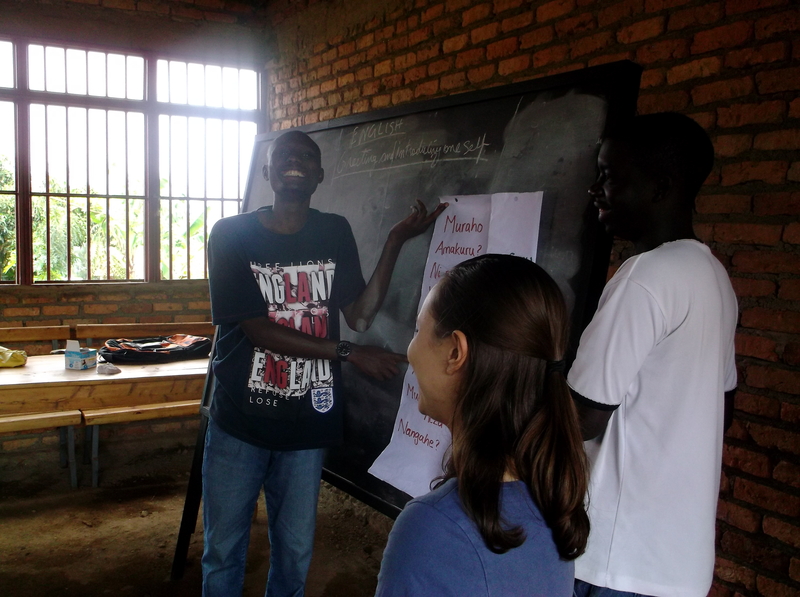 From Monday (when our plane arrived) we had in country orientation with all the other teams which would be spread throughout Rwanda. It was wonderful, we were well informed about the culture, met our in country volunteers and even had language lessons from them too. They were so much fun, I thoroughly enjoyed embarrassing myself and over-pronouncing the words! It was so useful to get at least a basic grasp of the language. 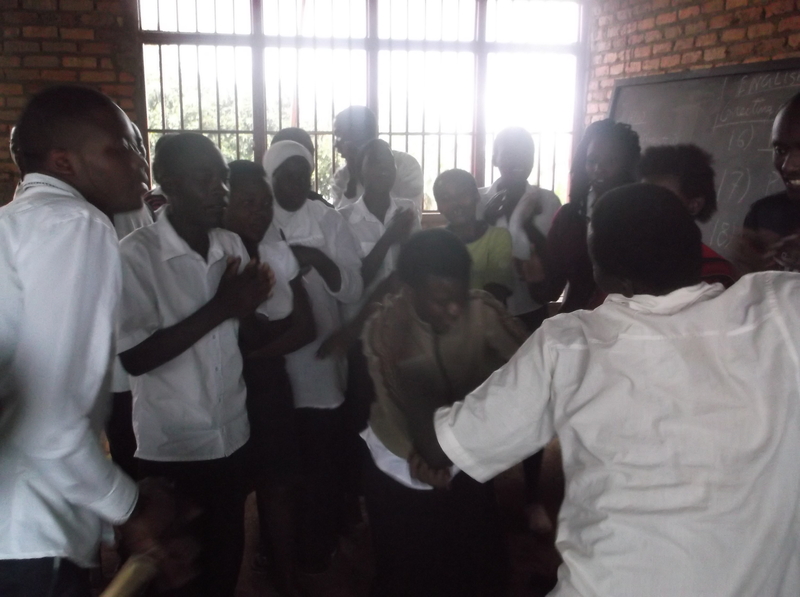 We also learned about the do’s and don’ts of both Rwandan and our own culture. For example in Rwanda you greet everyone whereas in the UK you barely look people in the eye when passing them in the street! Me and my well deserved ice cream! 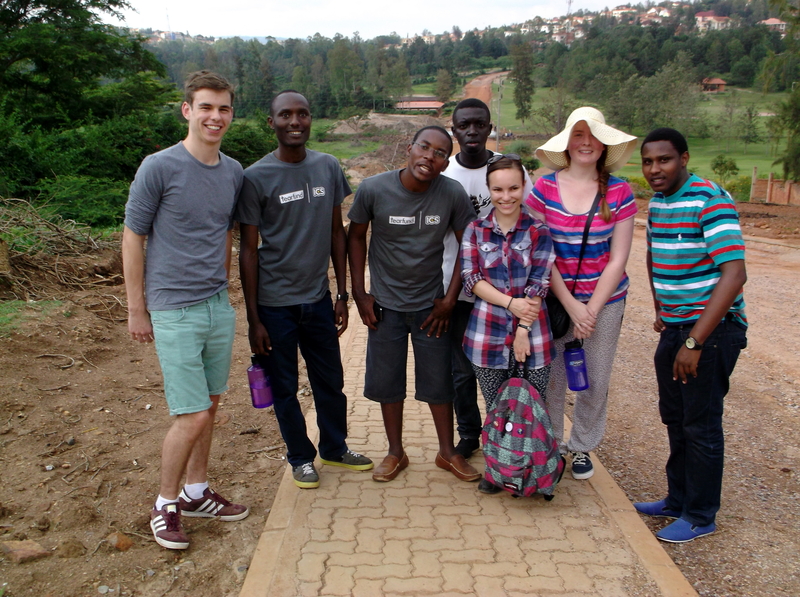 On Wednesday we went to one of the genocide memorials in Kigali. It was probably one of the most humbling experiences in my life. I think you would need to go there yourself to understand that. All I can say is that I understand why people here don’t like to talk about it. 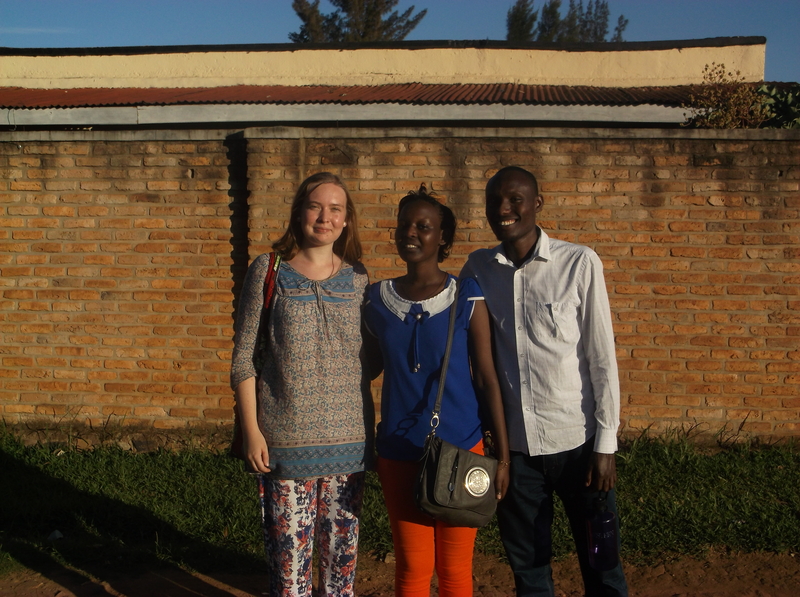 The next day after some more orientation about the signs of culture shock we went out in Kigali with our team to learn more Kinyarwanda (the language here). It was such a blessed time, where we as a team really started to gel. 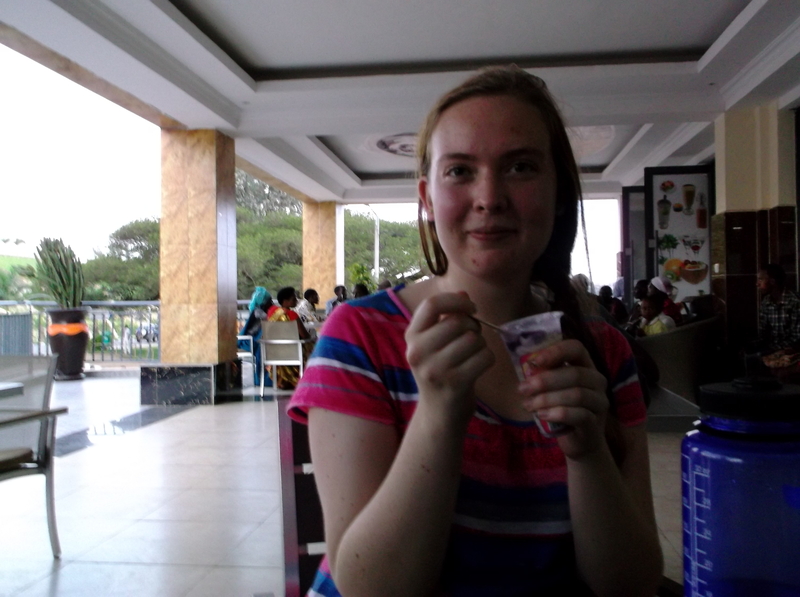 I learned so much about my in country team members and even had an ice cream which cost….get ready for this…70p! I love ice cream here. All too soon Friday was upon us and all the teams departed to their placements. It was a sad time but I felt I was ready to start our own placement. It took about 20 minutes in the car to get to Havugimana Israel guest Centre. We are staying in such a beautiful place, we have a kitchen area, a living room and the most lovely bedrooms. I even have an en suite bathroom. It probably sounds like I am living the life of luxury and I feel like I am but I know its only a matter of time until the hard work starts and I get to do what I’ve come here for. Saturday was spent with our team, getting to know each other and generally laughing a lot! We played games like Jenga and snap (well I watched) which seemed to be a favorite among In Country Volunteers. We had devotion in the evening which was lovely, I enjoyed reading the bible, praying and praising God with my team. Today has been a little harder. I woke up feeling ill and emotional. In fact I cried quite a lot. But thankfully I had dioralyte (Sorry too much information), the support of my fellow team members and God. Its much later now and I feel fine, I am looking forward to going out into Kigali later with my team and further enjoying every minute of this placement, even the hard times. Murakose (thank you) and God bless! So its time to be honest with you all. Mixed in with the excitement of going to Rwanda (in 3 weeks!) there is also fear. I guess its easy to get caught up in the excitement and forget to be realistic about things. I am well aware that this may be extremely difficult and I might not find it easy. But I don’t want that to put me off, sometimes the best things in life are the hardest. I am so grateful for this opportunity, I know God would not let me do this if he didn’t think I was capable of doing it (with his help of course). Sometimes in life we must all take a leap of faith. I feel like this is mine. I am going somewhere in the knowledge that when I come back I will not be the same. I am so excited about growing in Christ and in myself, its going to be life changing. I only hope I can be of some help. As someone who is well aware of my faults I have some doubt that I will be able to help in the way I really want to. I know I shouldn’t dwell on the negative but it does get hard to completely ignore it. I guess sometimes I forget to look how far I have come. I am no longer the shy, insecure, sad girl I used to be. In fact I think I am quite strong now, as close to God as I have ever been and much more confident. It is a miracle which is all thanks to God. The fact is that within this self doubt I know in my heart that I am truly ready for this. I have to do Gods will, even if it means I might be scared of doing it. I am sure lots of people face the same situation (probably worse) every day and I want you to know a few things.You are an amazing individual, you are kind, you are smart, you are important (I love “The Help”). Yes you may have many faults but they are not your identity. You are capable of more things than you know and are braver than you think. Step out of the boat, it is scary but it is so worth it.